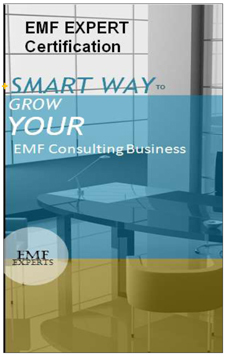 Why would anyone want to become an EMF Consultant? 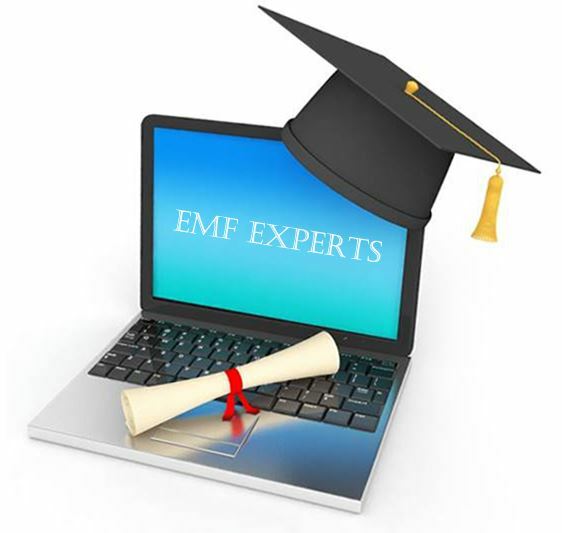 What Can you Expect from the Free EMF Webinar intro? This brief Free EMF Webinar overview below was filmed at EMF Experts' "mission control" as an impromptu invitation, inviting you to enjoy learning more about what certification can do for you, in the full 40 minute "Introduction to EMF Certification Training" presentation, which you can attend for free. You'll find it conveniently available for 24/7 on-demand-viewing, in the Events Calendar (right menu button). 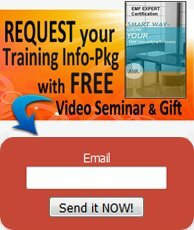 Ready to Proceed with Your Free Video Training Intro Class? 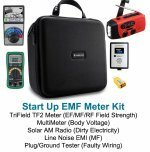 Watch "Intro to EMF Expert Certification Training", the free EMF Webinar video (recorded recently at a live presentation event). Think of the introduction video as your free bonus class. It is the first webinar class in the training, designed to introduce you in detail to all the training material to come in the next twelve online certification training webinars. Registering to attend this first class earns you a $500 credit towards certification training tuition. This webinar is offered to demonstrate for you how our webinars are delivered on a user-friendly conferencing platform in order to give you a much clearer idea of how training works, what the actual training covers and what EMF Expert Consultant certification has to offer you. While you are participating in this webinar you'll find that having your Training Info Packet (below) at hand will be very helpful in providing you with the entire training picture and preparing you for the next steps in attaining your EMF Expert Consultant Certification. Got Your Training Info Packet Yet? PRIVACY ASSURED: You're contact info is never sold, shared or used to spam you. and Pick Your Certification Training Date? the next step is to find one of the upcoming online certification courses (a series of 12 classes), which you will find listed in the Events Calendar. And also in the EMF Experts Classrooms Featured Courses list. You can easily Identify the next training start date by locating the first class - with the EMF Experts worldwide webinar icon (pictured here). Classes fill up quickly,and there is limited enrollment to keep the instructor-access quality of these live certification classes high. Don't be disappointed, enroll early for the training you want. Enrolling is easy, and our split payment plan option is designed to make it even easier. You can get started achieving your certification within minutes. Upon enrollment/payment you will be taken to the certification per-requisite self-guided courses, which will prepare you for the Live upcoming training date. Our Prospective Student FAQs is extensive and detailed in order to help you get all your questions answered right at the outset. Even those questions you didn't know you had. Have Questions of a more individual nature? You have direct access to your instructor right from the beginning stages of investigating training, and step-by-step all the way through to graduation, simply bounce us an email requesting a consultation.